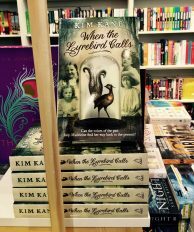 Our Liz reports from the launch of Kim Kane’s When the Lyrebird Calls at Readings Books glorious new Children’s shop in Carlton, where Sofie Laguna helped send this delightful new timeslip novel into the world. 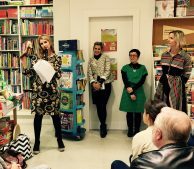 ‘It was so good.’ We’re talking about the recent launch of Kim Kane’s When the Lyrebird Calls, where more than 60 publishing and book-loving people packed out Readings Kids in Carlton. It was the first time I’d been in this shiny new shop and it’s gorgeous. A friendly mural dominates one wall, and the shelves are packed with books – an ideal mix of familiar and strange; classics and cutting-edge. For all ages. I was excited. My wallet was afraid. I will be back. Kim, Angela and the staff at Readings Kids know how to throw a classic publishing launch party. 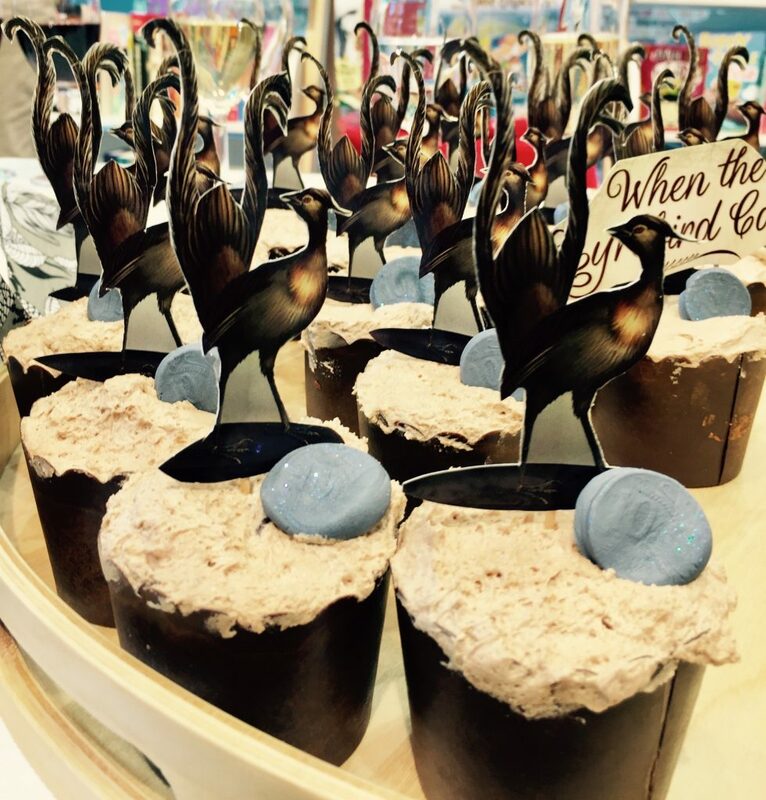 Feasting on bespoke cupcakes and (French!) bubbles, we listened to Victorian Equal Opportunity and Human Rights Commissioner Kristen Hilton telling us how wonderful this book is. How its importance should not be underestimated. It is, she said, ‘a collision of cultures and times – a work of lovely literature, but also, a girl’s own handbook for activism’. 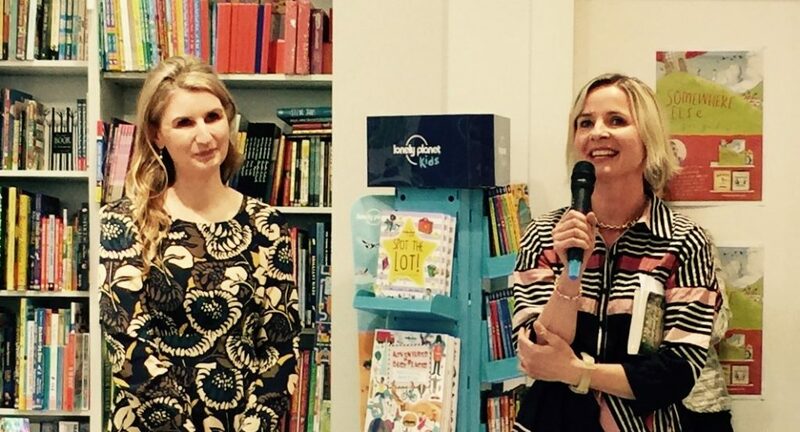 Miles Franklin Award-winning author Sofie Laguna officially launched When the Lyrebird Calls. She talked about the underlying themes of the book, sharing her delight in the extraordinary use of language and the flashes of humour to be found throughout. Kim, your book, just as you describe the lyrebird itself, is a keeper of history. 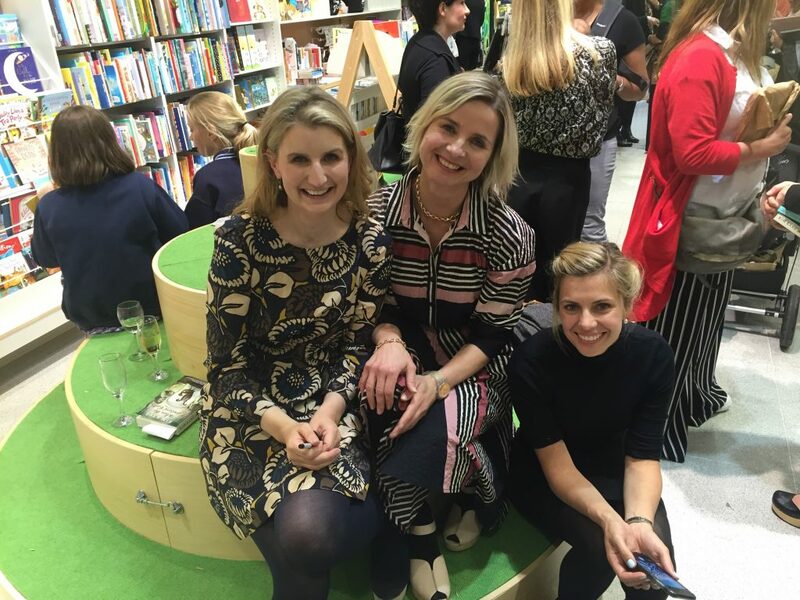 The star of the evening was the author herself, who told some hilarious stories about the ten years it took her to write the book and thanked all those who helped her along the way – it seems it does take a village, after all. Kim also mentioned a story where art imitated life. When she was a child, she remembers finding a high-heeled shoe in a secret compartment in a wardrobe, and wondering who it might have belonged to. The magic of the discovery stayed with her, and she gave the same experience to Maddy in the book. …a rich and lively experience, full of interesting references, with a feminist backbone and a sense of fun alongside its important messages. So give yourself a treat after reading that review, and read the book itself!